While he was lying there, a cow came by and dropped some dung on him. As the frozen bird lay there in the pile of cow dung, he began to realize how warm he was. The dung was actually thawing him out! He lay there all warm and happy, and soon began to sing for joy. 1. Not everyone who sh*ts on you is your enemy. 2. Not everyone who gets you out of sh*t is your friend. 3. And when you’re in deep sh*t, it’s best to keep your mouth shut! I don’t know if anyone reads these or not? I tend to write when I have no other outlet for spouting off where no one can tell me I’m wrong. I know I’m wrong. I don’t need your verification. But I don’t mind discussion. If you want the philosophy of a grumpy hermit with social anxiety…I’m your man! I have a great friend who is a teacher. Mr. Taylor. The only thing that matches his guitar playing is his taste in music. Top notch. He was cool before it was cool to be that cool. We love many of the same bands. The same guitarists. Obscure tunes and forgotten gems. He’s always laughing. He has a Chicago accent. Good guy to be around… We had a discussion the other day about songwriters. We were discussing some of the greatest lyricists of the 20/21st Century. Not music as much as the guys who write amazing lyrics. Dylan, Springsteen, John Hiatt, Steve Earle, Lyle Lovett. There are more I’m sure but these guys are regarded worldwide as top shelf lyricists. They know how to turn a lyric into an image that also pulls a switcheroo on you. They can make you laugh, cry, both and make the hair on your arms stand up. Some of the names you may not recognize but if you have a favorite song John Hiatt probably wrote it. I added David Lee Roth. The singer for Van Halen. The peroxide Mark Twain. The last shameless rock star. Mr. Taylor said that Dave made him smile. Hell Yeah he did. I of course told him I would expound on why DLR is the most underrated poet of our time. Any DLR era classic Van Halen song was co written by Dave. Every word you sing along to was from the mind of a hyperactive kid from San Bernardino, The son of a Dentist. She’ll be gone tomorrow like the silent breeze. Why is this crazy stuff we’d never say poetry in ink? It takes a hell of a writer to get those images in your head down on paper and then deliver it. To do it in a poetic, satirical, self-deprecating, but clever inner voice is another thing. David Lee Roth has the ability, the imagination, the vocabulary, and the experience to match any of our greatest writers. Don’t dismiss him because he is a great entertainer. I just felt like writing. Dave is as good if not better than most. I won’t really fight you over this. What do you think? Comment or just say Hello! Posted in David Lee Roth, Free Album, FREE MP3, Graphics, Job, Travelogue, Van Halen, work and tagged bitching, California, David Lee Roth, Dylan, Graphics, Job, lyrics, Springsteen, Thoughts, Van Halen, work on August 9, 2017 by arloroan. ← Phubbing. An American Epidemic. You May Already Have It! 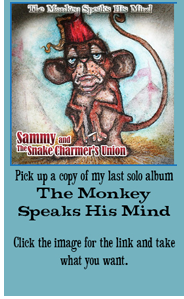 Pick up my solo album for FREE! Donations for the album are appreciated! Nothin’ Up My Sleeve! Presto! Ya Gotsta Kick at the Darkness Till It Bleeds Daylight, and Don Felder. Project:Holiday Cheer and Update on Lies, Gratitude, and Love.